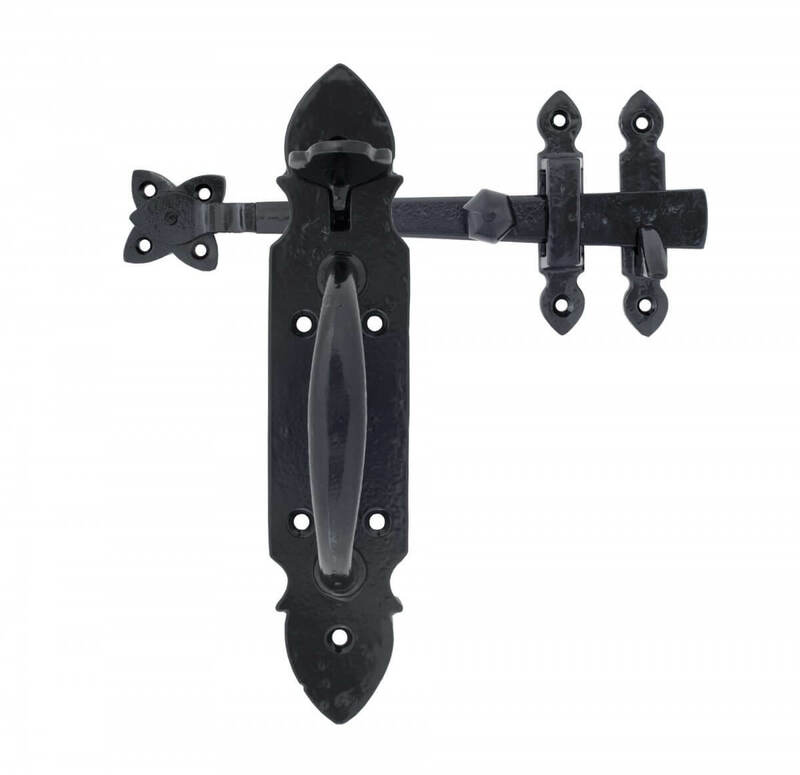 A beautiful latch with lots of stylish features including a long bar with an octagonal shaped knob, nicely decorated keeps and a comfortable handle. 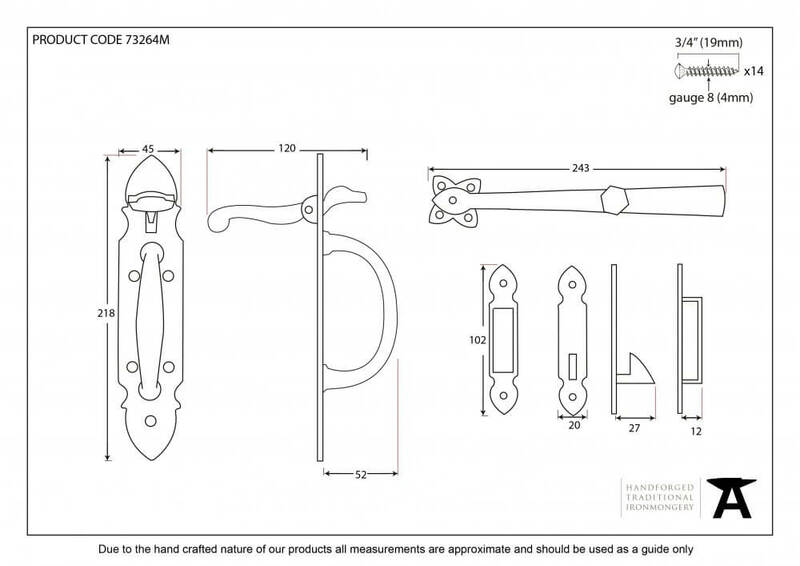 Can be used on a door with a maximum thickness of 44mm. Suitable for internal or external use and sold as a set. 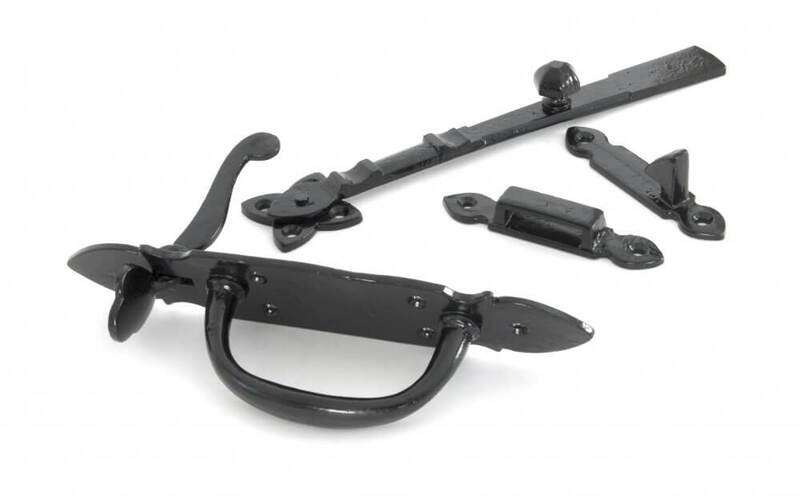 Finished in powder coated Black - for more information see the finishes guide here.